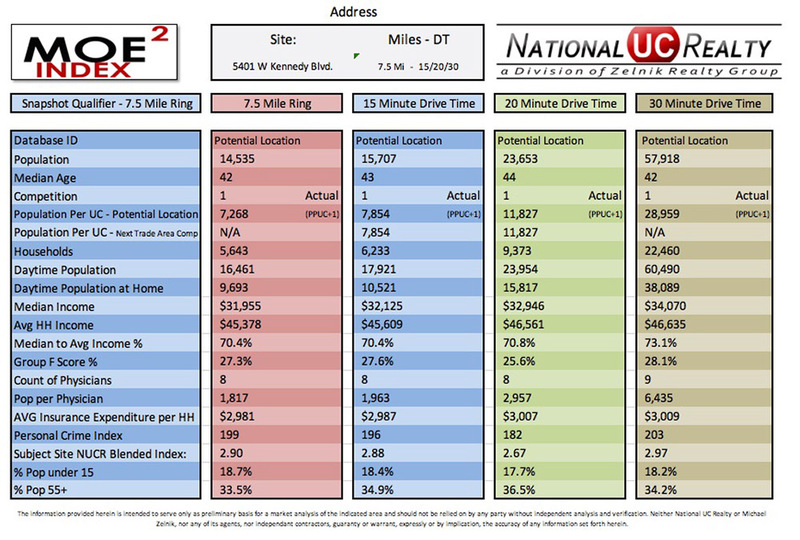 We can quickly analyze the key strengths and weaknesses of any Urgent Care site of interest to you. Highlighted below are 9 of our most popular reports. 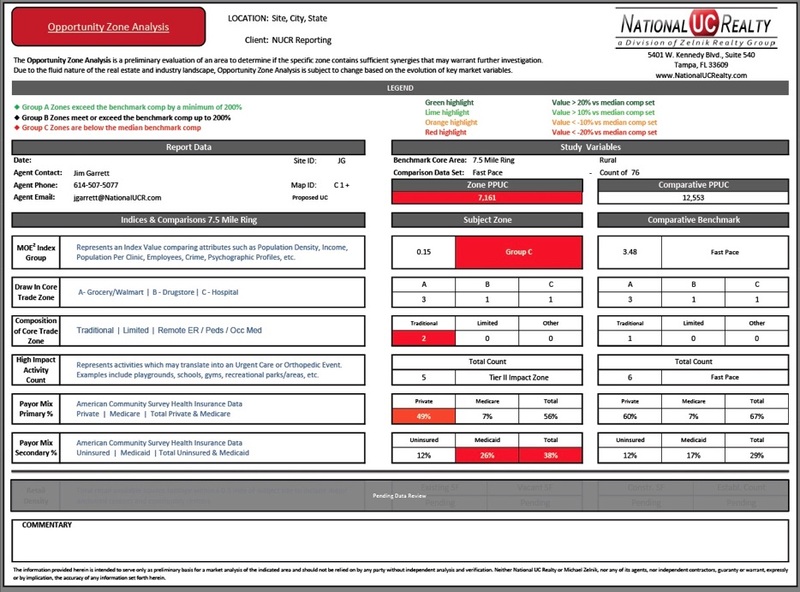 We also offer customized reports based upon your unique needs. 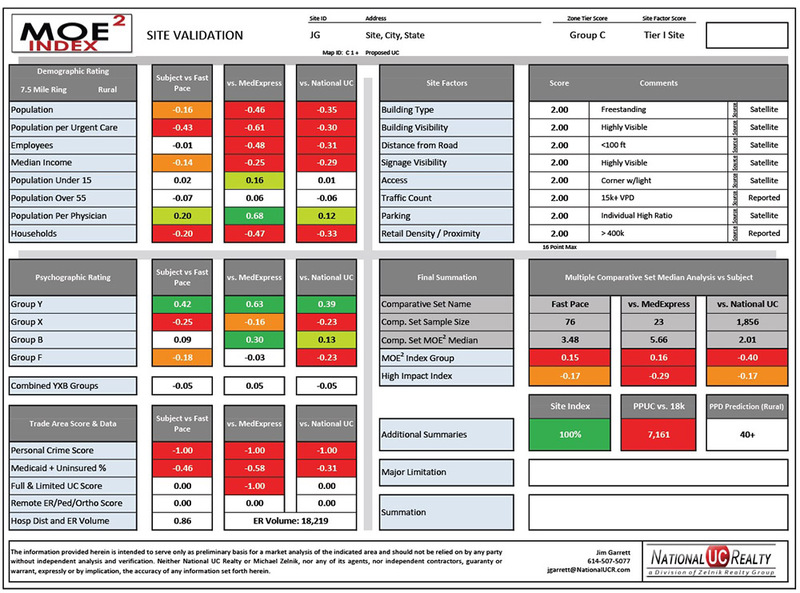 Level 2 and Level 2.5 Reports are 5-page reports that give a visual overview of the trade area and compare a Target Site to 3 Urgent Care Benchmark competitors. 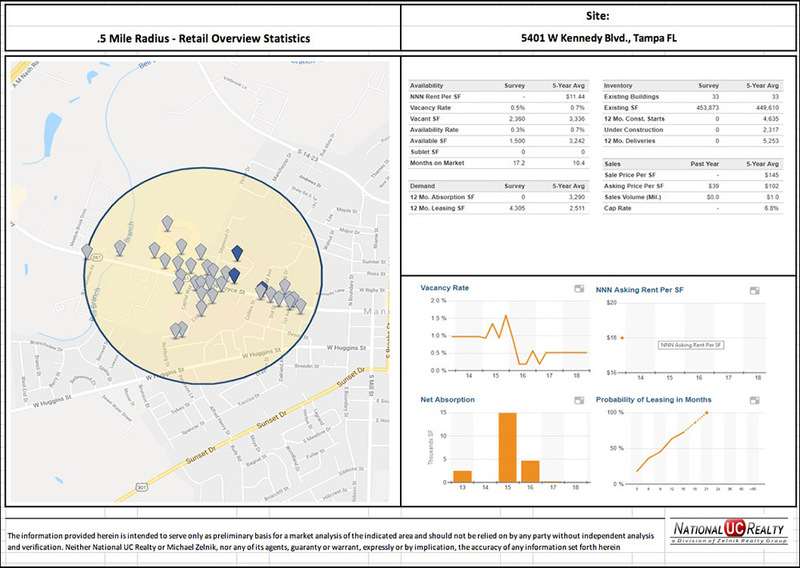 The Target Site is analyzed based upon multiple factors including Demographics, Psychographics, Medical Competition, and the Crime Index. 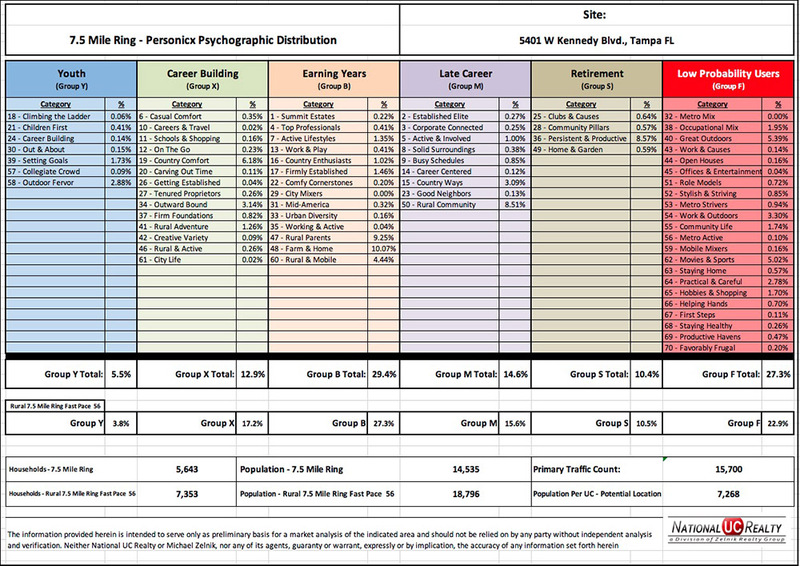 If you are interested in the projected Patients Per Day forecast for a Target Site, the Level 2.5 Report includes this piece of information. 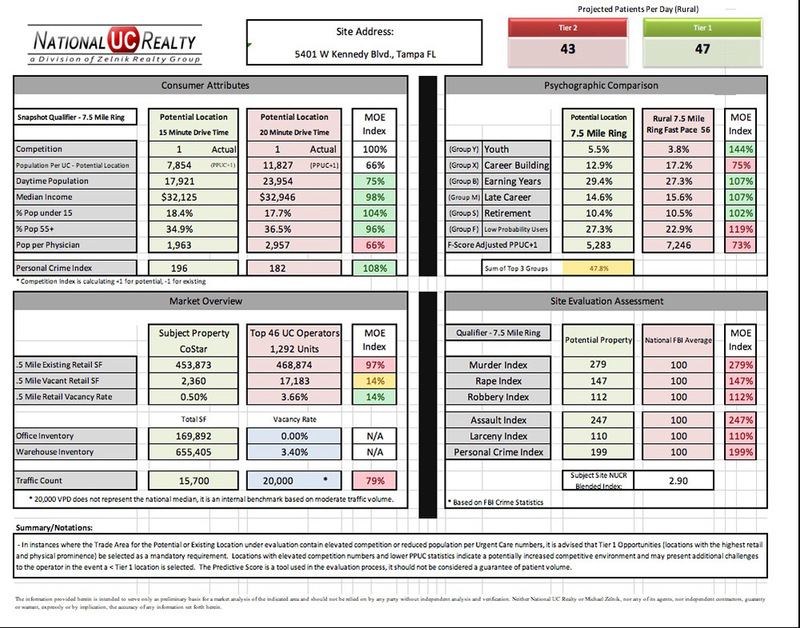 A Level 3 Report is a 10-page report that includes all of the information in a Level 2.5 Report plus 5 additional pages of information with insights on the Retail, Office, Warehouse density and NUCR Blended Index score. 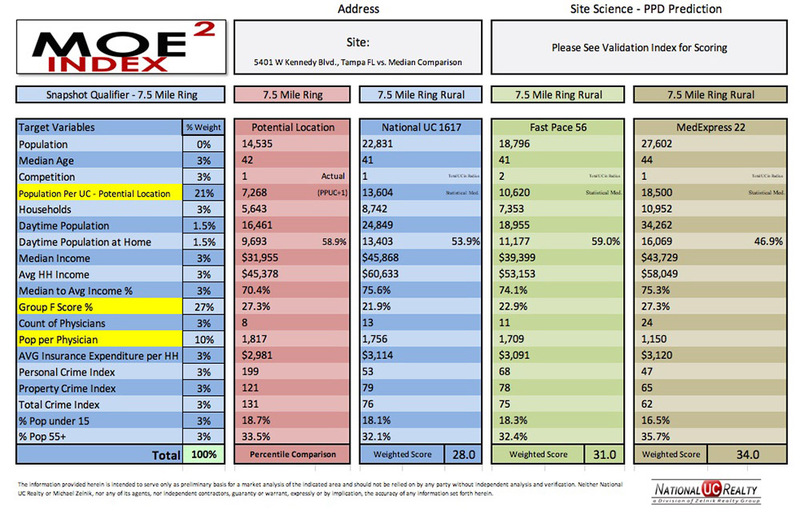 A MOE Report (More Or Equivalent Report) is a 2-page report that compares a Target Site to 3 Urgent Care Benchmark competitors and analyzes the Target Site based upon multiple factors including Demographics, Psychographics, Medical Competition, ACS Insurance Ratios, Crime Index, Site Characteristics and the projected Patients Per Day forecast. 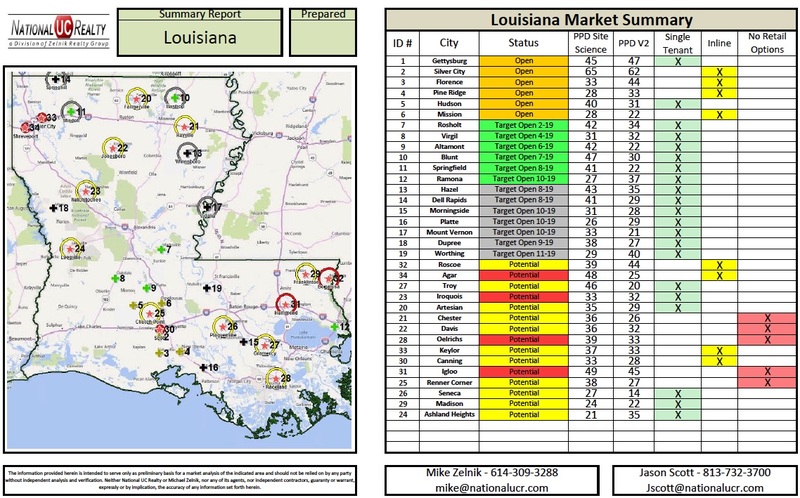 A Market Summary Report provides a 1-page summary for up to 37 Target Sites and includes a map of the geographic region in which the Target Sites are located, the projected Patients Per Day forecast for each site and an indicator as to the building space type for each site. 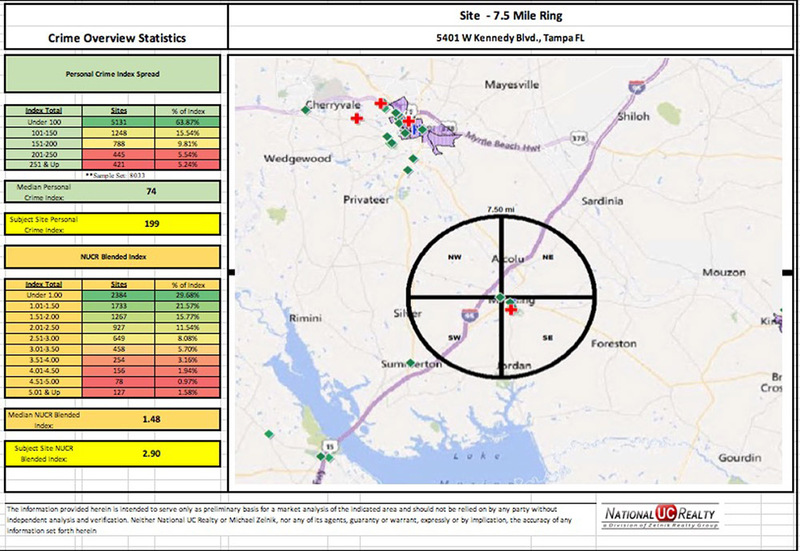 Our advanced mapping software allows us to create Grid reports to show our clients a fine-tuned view of key data elements of interest in their Site Analysis. 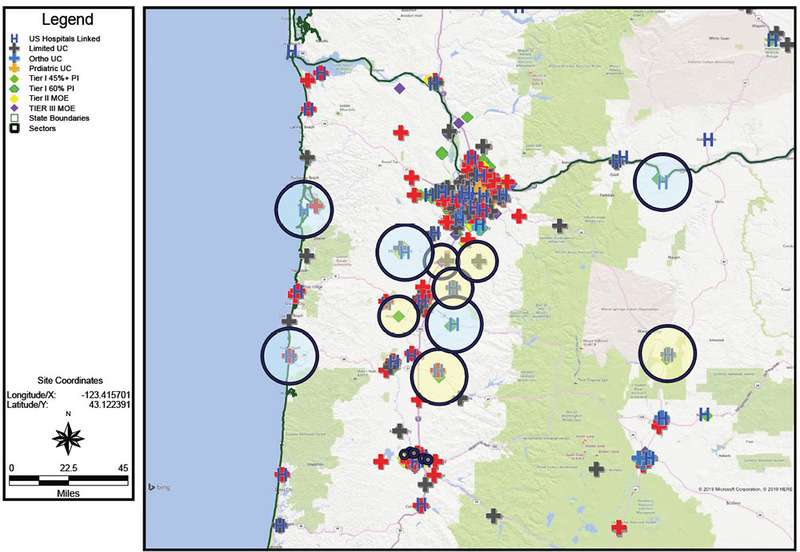 For example, the population density around a Target Site. 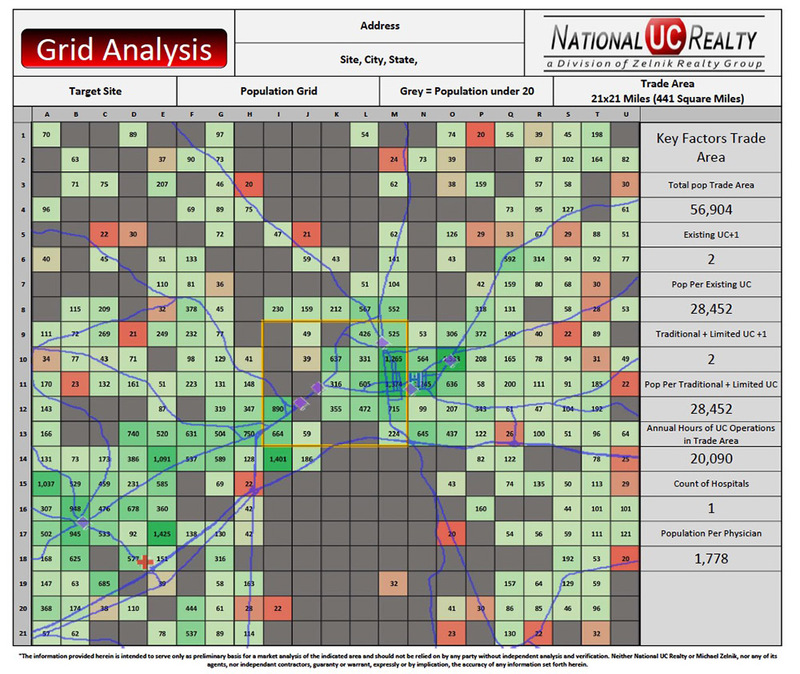 If you have a file with the addresses of your patients we can map your patients on a grid. 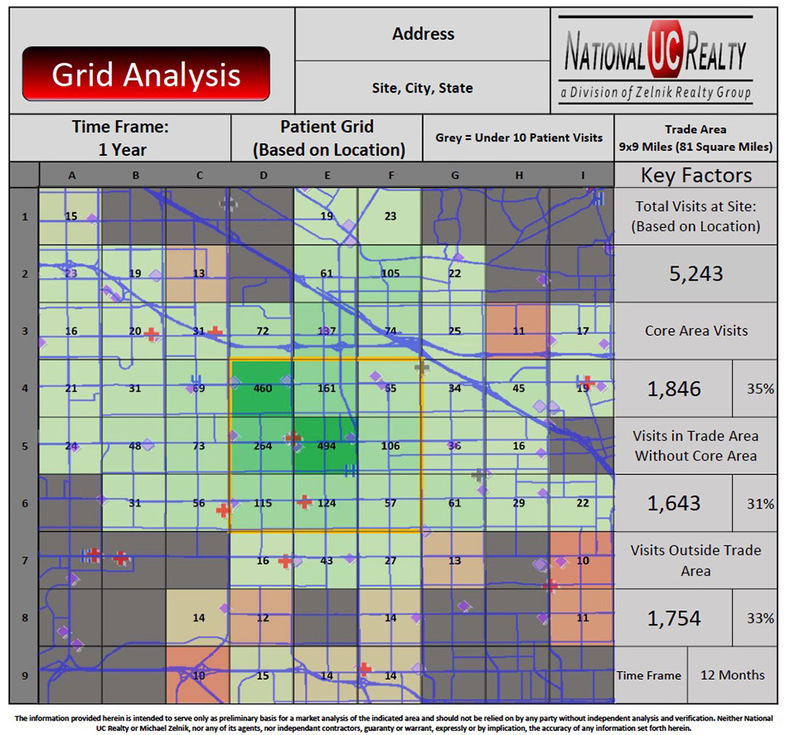 This is a great tool to discover where additional marketing efforts may be needed due to low patient volumes in neighborhoods near your Urgent Care. 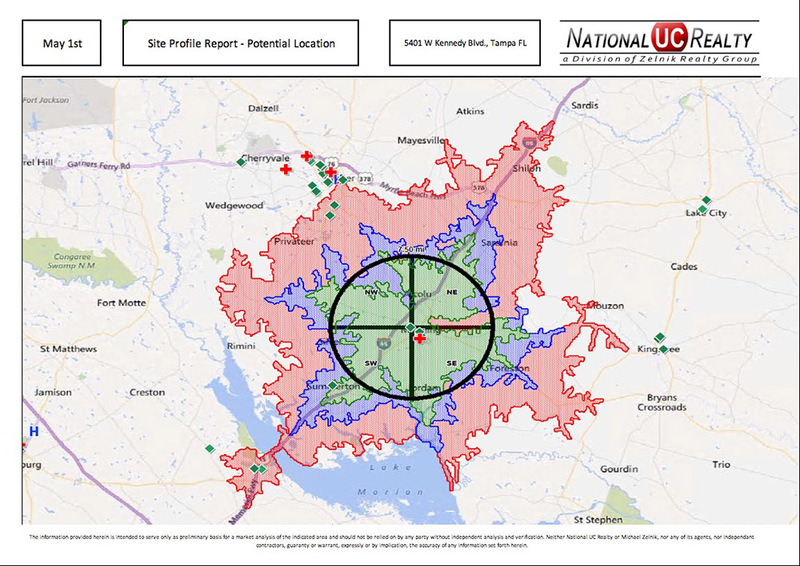 Opportunity Zone Maps highlight top regions for placing new Urgent Care centers based upon our Site Analysis of the region. 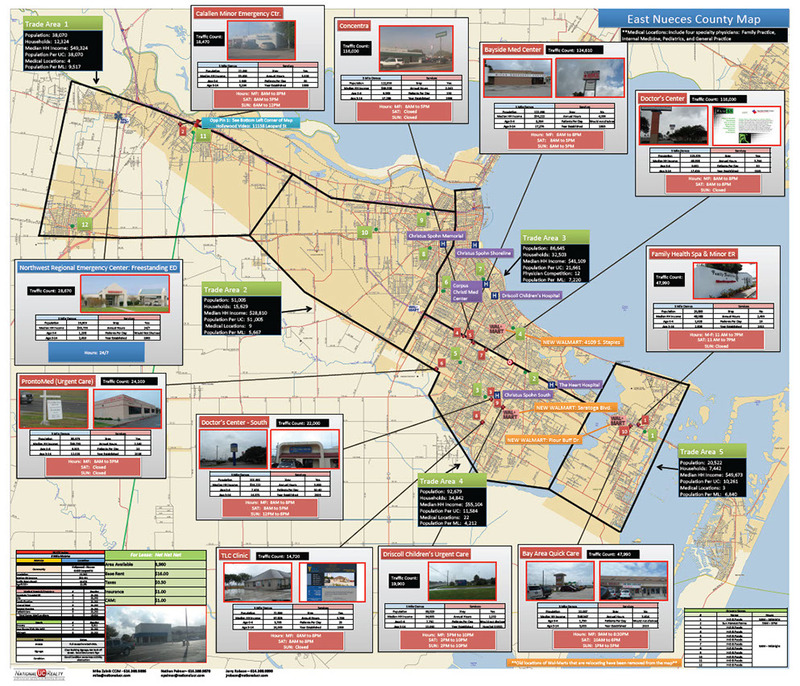 Opportunity Zones maps are available in large formats up to 42” x 36” in size. 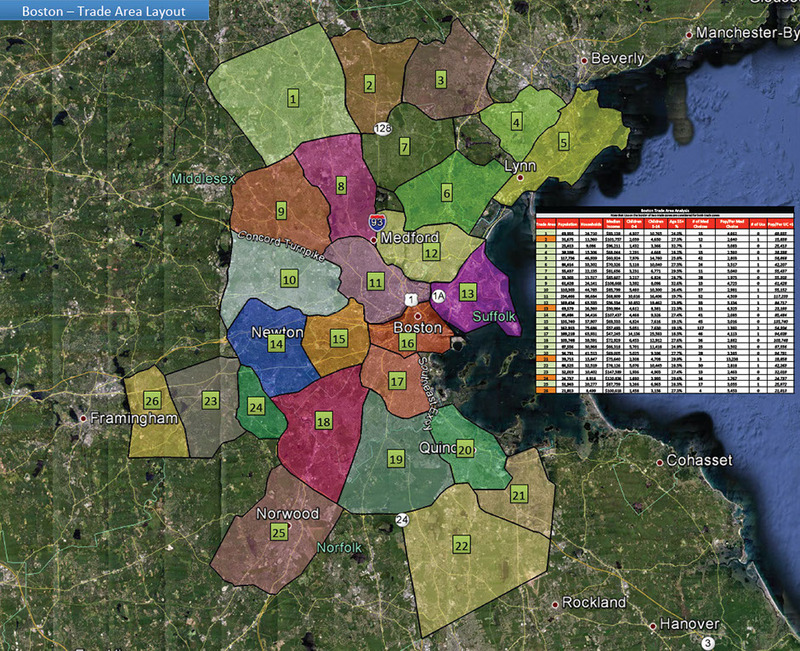 We are able to catalog the key medical alternatives in your trade area and provide them on a large format 42″ x 36″ map. 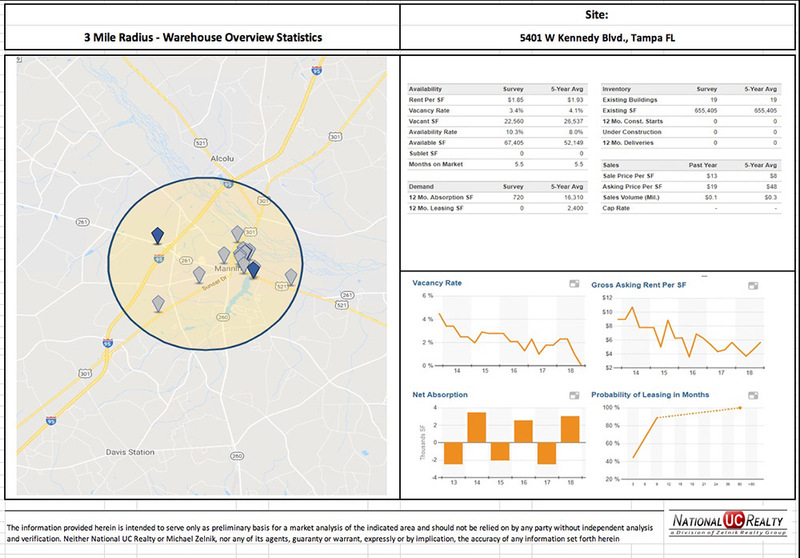 Are you an Urgent Care operator looking to gain new insights about your locations? Do you wonder why one clinic underperforms while another thrives? 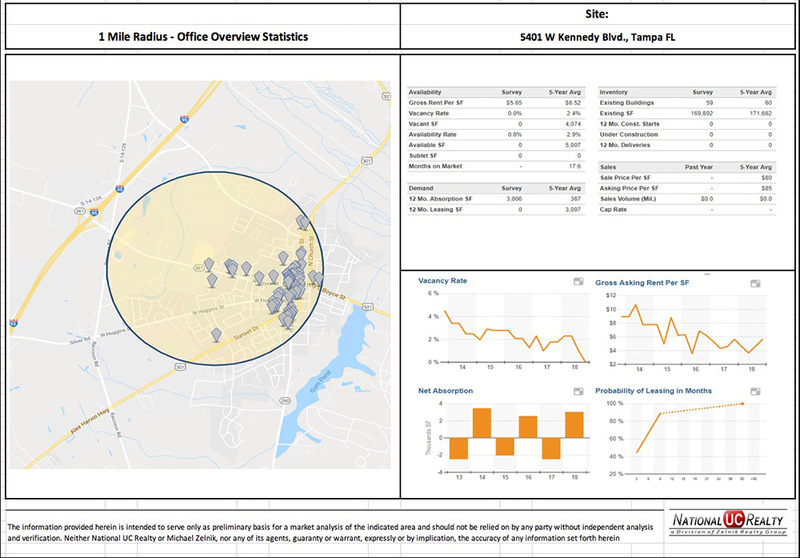 We can highlight key Metrics for your clinics and alert you to factors in your trade area that may be impacting your patient volumes. please call (813) 438-4951 or click here to contact us.